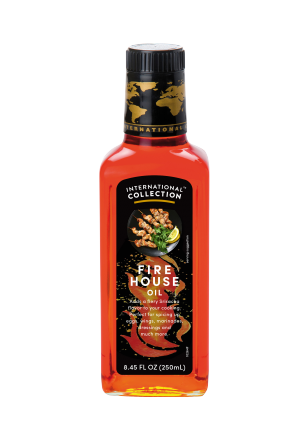 With a fiery Sriracha heat, International Collection FireHouse Oil provides a quick, easy and exciting way to bring a spicy twist to your dishes. We’ve added natural flavors of chili and garlic to canola oil, which has the lowest saturated fats of any vegetable oil and is rich in Omega-3. 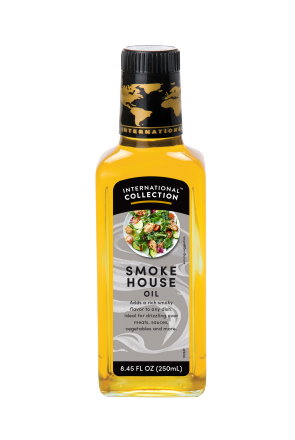 FireHouse is bursting with the flavor, zest and spice of exotic cuisines, ready to drizzle on pizzas, add to dips like guacamole, glaze on to meats and bring intense heat to any food.